Welcome to the careers and higher education section of the SIS IBCP website. Below you will find a range of information that will support your choices in years 11-13, we hope that you find it useful. If you have any questions please don't hesitate to pop in and see us at any time, alternatively, drop us an email using the links above. The map below shows South Island School IBCP university offers for 2019. The map is interactive, click on the locations and the students entry requirements will be made visible. Below are a few suggested subject combinations that may help you with future higher education applications. 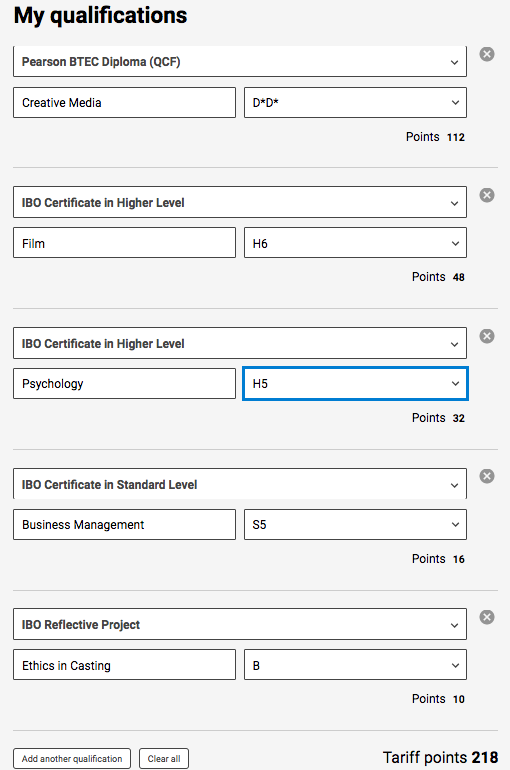 By choosing any 2 / 3 of these IB subjects with a BTEC makes for an attractive package to universities and employers. Some universities may require the IB subjects to be studied at higher level, please speak with your HE counsellor for further information. The IBCP was first introduced in 2012 with the first cohort of students gaining university acceptance in 2015. Below is the list of universities that IBCP students have been accepted into (updated November, 2015). This list is growing annually. "We recognize the IB and related courses as solid preparation for university level work. At this time, because the course is still very new, few applicants to Stanford come from IBCP programs, but were they to apply, we would certainly consider them. Like all other applicants, they would need to present very strong academic credentials along with personal accomplishments and other qualities to be successful in our holistic review". A selection of UK University entry requirements for the IBCP (all are in the UK Top 25 Universities 2017). The University of Bath: "we are able to consider the combinations of components that are typically offered by the IBCP, such as BTEC Diploma and IB HL Certificate combinations at DD & 6 (HL)". 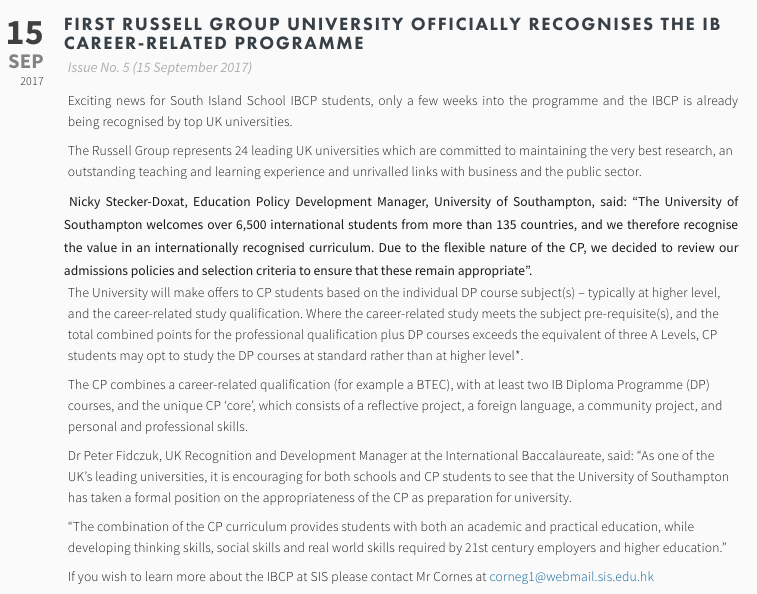 The University of Kent: "International Baccalaureate Career-related Programme (IBCP), will be offered on their individual merits and should contact the Recruitment and Admissions Office for additional guidance". University of Southampton: Flexible offers will be made in respect of the BTEC Diploma and IB HL Certificate. For example D*D & HL 6, DD & HL 7.